I’ve made a to-do list for my upcoming trip to the mountains, where I intend to acclimate for a week prior to the Everest Challenge, perhaps the most challenging USAC sanctioned cycling race in this country. Naturally most of that time will be spent on photography, but due to rest and recovery needs after a hectic and demanding past few months, I don’t think shooting at dawn will be on the menu, at least not every day. Below is a sampler of some goals, some of which I’ll probably not get to, but others not listed might evolve as field insights dictate or weather conditions merit. If you are a subscriber and have a suggestion, email it (keep it concise and relevant to most subscribers, nothing obscure please). Leica M Monochrome: field shots of a variety of subjects, several comparisons with Leica M9P, evaluation with color filters. 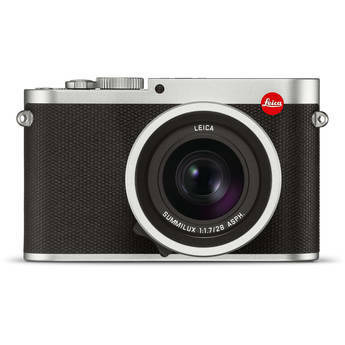 (for Guide to Leica ). Leica 35mm f/2 Summicron-M ASPH: field shots, plus comparisons to Zeiss 35/2 Biogon and Leica 35/1.4 Summilux-M ASPH FLE, perhaps on the Leica M Monochrom and M9P (for Guide to Leica). Voigtlander 28mm f/2.8: field shots, plus compared to Nikon 28mm f/2 AI-S, Nikon 28/1.8G (for DAP), and to Zeiss 28/2 (for Guide to Zeiss). More work with various Zeiss ZF.2 lenses on the Nikon D800E (for Guide to Zeiss). Leica 135/3.4 APO-Telyt-M and various other Leica lenses on the Olympus E-M5, Fuji X-Pro1, Sony NEX-7 (for Guide to Leica ). Nikon D600 compared to the Nikon D800 (for DAP). Panasonic Leica 25/1.4 on the Olympus E-M5: field shots and general performance (for Guide to Mirrorless). Fuji X-Pro1: freshened evaluation with latest firmware, comparison of Fuji 35/1.4 to Leica 35/1.4, behavior of Leica M lenses (color, sharpness, ray angle). (for Guide to Mirrorless). I will also reevaluate the autofocus, etc. Sony NEX-7 compared to Fuji X-Pro1 to Olympus E-M5 to Sigma DP1 on various field comparisons. Which camera really delivers the best image quality? (for Guide to Mirrorless).